There are two ways to experience Boulder Beach. One way is by getting there just as Main Street opens, racing to save a spot by the wave pool, or the other way. Taking a leisurely stroll through the beautifully landscaped park. Waving at others while you pass by, because you know that you reserved a cabana. Here are a few tips from us on how to have the best Boulder Beach Experience. Conveniently located in between the two wave pools, the cabanas provide the perfect amount of shade and top notch service. Let the kids go on their favorite attraction, and then have them check in from time to time. You can even watch them splash and play in the wave pool. If you are craving a burger from Lindy’s but you don’t want to run all the way over there, our Cabana attendants can go grab it for you. That way lunch will be hot and ready in your cabana for when the kids check in with you at 12:30. The cabanas are meant to be a luxurious experience for our guests, and we want to provide as much as we can. If you rent a Cabana, there will be two rental towels available for you. You will most likely be packing a lot of stuff, and you can save room by leaving those towels at home. Inside the Cabana there is also 2 lounge chairs,4 regular chairs with a table, and 2 tubes. 4. Order Yourself a Drink, You Deserve it! The best part about renting a Cabana is that there are food and beverage services available! Our Cabana attendants will be coming in and checking up on you from time to time to make sure that you are fed and that you have something to drink. We have assorted Pepsi beverages, lemonade, iced tea, slushies, and beer. If you like Pina Coladas, we even have those too! If you’re in extra need of some relaxation, just order a Jamaica-me-crazy! 5. Forget Something? No Problem! It’s easy to forget something when you are so excited to come out to the park and play! If you happen to forget sunscreen or your sun hat, we can run to the retail store and bring it to you! If you just wanted to pack light, you can include sunscreen, life jackets, extra towels, and extra tubes in your reservation. All of your items will be waiting for you in your cabana when you arrive. Unfortunately theft is always a possibility when going in public. Here at Silverwood we take safety very seriously, and we try to prevent these situations as much as we can. Inside each Cabana there is a locking cabinet with a keyed padlock containing space for storage of your personal items. Even though all cabana guests require a wristband to enter, we still recommend taking extra precaution. A maximum of 6 guests can be in a cabana at one time. A maximum of 10 guests total can be in your party. Have you ever rented a Cabana before? 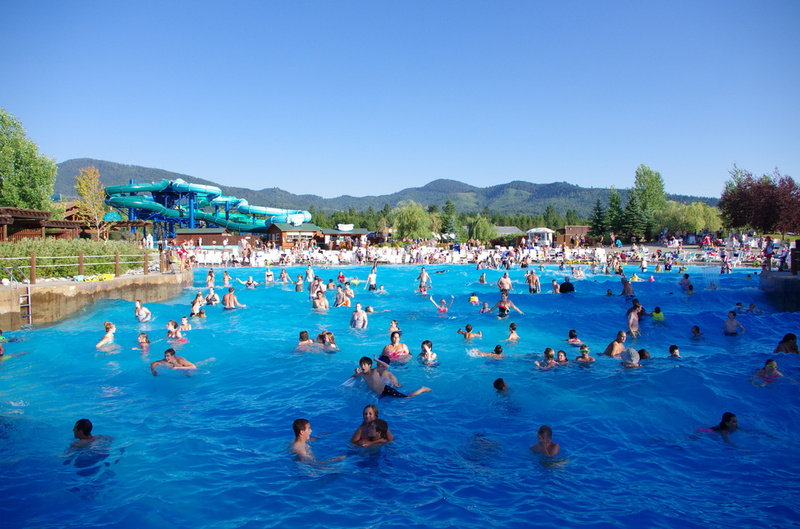 What are some of your tips and tricks for having the best experience possible while at Boulder Beach? Let us know below! Can’t wait to come next week. How do I reserve a cabana online? How much to rent a cabana for a day? It is $175 to rent a cabana for the day. Hope to see you at the park this summer! Are cabanas transferable to someone else? Do cabana rentals include any entry fees into the park? Hi Andrea! The Cabana rentals are an additional fee to your admission ticket.